although i have technically been offering canvas prints for awhile, i am giving it a new debute with a new twist. 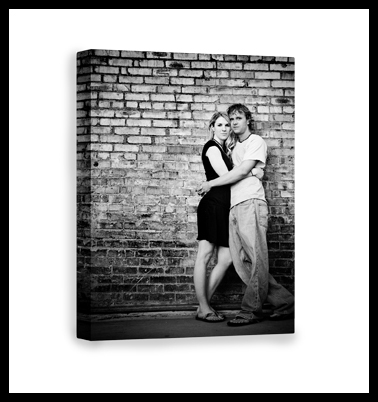 i am now offering canvas prints that are hand stretched over a 1 1/2 inch pine stretcher frame. i love how the thicker frame adds a modern feel as it allows you to hang the canvas on the wall without a frame for a clean look. with a smaller 8×10 inch canvas you can even sit it on a bookshelf. here are a couple of examples. but from now until saturday night they will be marked at 20% off. the sale ends saturday may 19th at midnight so order soon. just go to your event and look for canvas wrapped prints under products at the bottom of the page. after clicking on it you can choose your size and the price will already be marked down. make sure you enter the photograph # and whether you want it color, black & white or sepia toned under special instructions upon checkout.